Gaps on a then-proposed bench design at 1515 Douglas. Image source: Submission to Victoria Council. 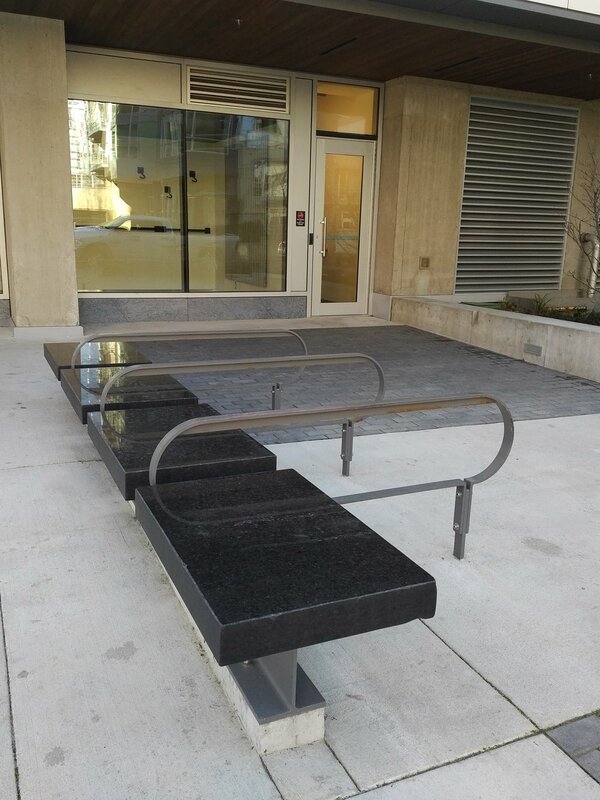 Gaps and bike racks on a then-proposed bench design. Image source: Submission to Victoria Council. 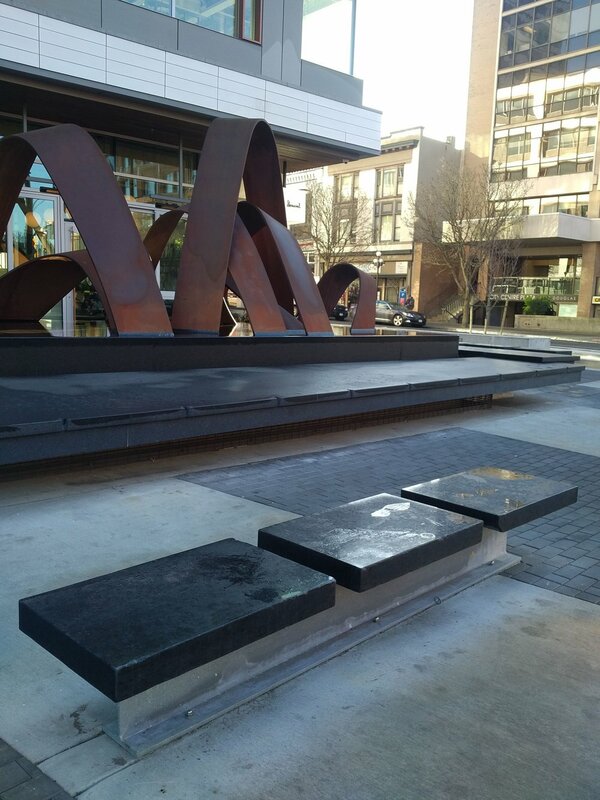 These bench designs were in documents that were reviewed and approved by the previous city council, including an agreement that the new “public” square would stay private. Even if someone found a way to use this space to rest, the city signed an agreement that says the company can kick people out or “bar entry” for reasons ranging from loitering to being unconscious. If a skateboarder tried to grind on these ledges, the theory goes, they might trip, so maybe they won’t try. Gotta keep those skaters away, lest they bother some old people or — heaven forbid — scratch the Peribonka. Public traps and benches designed to keep people from sleeping. Totally normal and human approaches to design, right across from city hall. Defensive architecture across from Victoria city hall.